With more than 135 million members, and over a million groups, LinkedIn is by far the biggest professional social network. With these statistics, and the fact that it is part of the big 3 Web 2. 0 channels together with Twitter and Facebook, you cannot ignore this professional network to build up brand authority. Only a few internet marketing agencies are busy leveraging LinkedIn into their internet marketing strategies for their clients. Internet marketers need to clearly understand that the reason people are connecting with brands on LinkedIn is not exactly the same as why they would follow a brand on Twitter or Facebook. These two channels are very good for news regarding the latest deals and offerings or just plain customer interaction. On LinkedIn, a brands presence is mostly relegated to information related to the latest job offerings, whilst the other activities are usually far in between. Many companies are trying to jump on the social media bandwagon with LinkedIn and they are expecting to see immediate results. LinkedIn works exactly the same as the other networking channels. Building up reputation on LinkedIn requires time and effort to build up your profile on this professional social network. Even though only a number of companies are busy using LinkedIn to its full potential, why not use this channel to make your brand stand out? 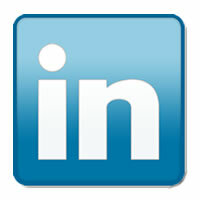 Here are a couple of reasons why you should use LinkedIn in your overall internet marketing strategy. LinkedIn is a professional social network to build up your brand’s personality and reputation. For B2B companies this is an excellent opportunity to get noticed by customers and clients. LinkedIn is the perfect network for finding industry related information and contacts, besides strengthening and establishing business relationships. It is very important that your brand is noticeable on LinkedIn so that others can see what you represent and any of the services you provide. Clients may use Twitter to follow a brand or a company, but many will turn to LinkedIn to find out specific company information such as organizational structures, locations, etc. This can greatly influence whether or not a prospects wants to connect with your company.